It’s been over 10 years since Amazon introduced the first Kindle to the world. 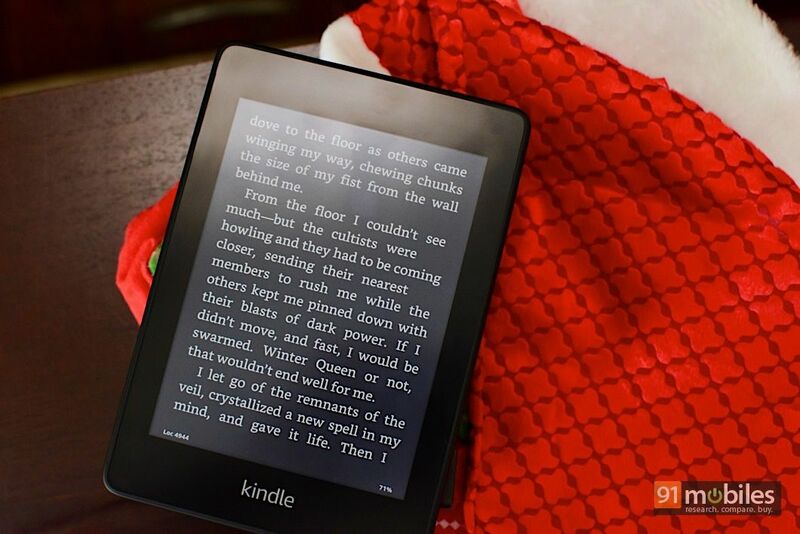 And among the various e-readers the company has launched over the years, the Paperwhite has remained the most popular. No surprise then that Amazon decided not to touch its prized product for the longest time. But three years is an eternity when it comes to technology, and the 2015 Paperwhite, despite remaining a solid device, was itching for an upgrade. To that end, Amazon introduced the All-new Paperwhite last month. Borrowing a majority of its features from its predecessor, the new Paperwhite also brings in a few modern upgrades. 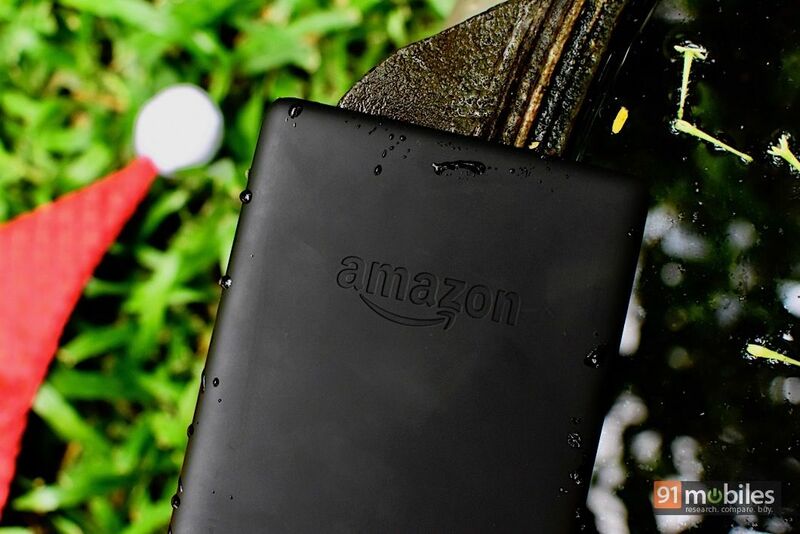 I spent some quality time with the device over the last few weeks, to find out if Amazon still has a winning formula on its hands. The most notable design change in the new Kindle Paperwhite is the flush display, also seen on the top-end Oasis (review). The older Paperwhite had a recessed screen, which tended to collect debris and dust over time. While the display size and resolution remain unchanged at 6-inches and 300ppi respectively, the brightness has been bumped up by 10 percent thanks to a fifth LED. The extra LED is located at the bottom to create more even lighting. As expected, the display features excellent viewing angles and crystal clear text. The Paperwhite lets you easily adjust brightness via a slider at the top, but if you’re looking for auto-brightness, you’d have to consider the Oasis. While the All-new Paperwhite is as durable as the previous model, Amazon has added better scratch resistance for good measure. The back panel features a soft rubber finish, which makes it very grippy. At 8.2mm, the All-new Paperwhite is slimmer than the previous Paperwhite, which measured 9mm around the waist. The slightly protruding bump at the bottom of the older model for the micro-USB port, LED status light and power button is gone, replaced by uniform edges. The only downside to this is that the power button rests on my pinky finger when I hold the device in one hand, leading to the display being inadvertently turned off. I eventually learned to adjust the position of my finger while reading, but I would have preferred the power button on the top edge. The new Paperwhite is also lighter than its predecessor, with the Wi-Fi and Wi-Fi + 4G variants tipping the scales at 182g and 191g respectively. Amazon sent me the latter for review, which also comes with extra storage – 32GB to be precise. Amazon is targeting this model specifically at users who enjoy reading graphic novels and manga, as e-book versions of these take up a lot more space. Even the Wi-Fi-only variant has received a storage bump, and now offers 8GB of inbuilt memory – enough for a few thousand books. 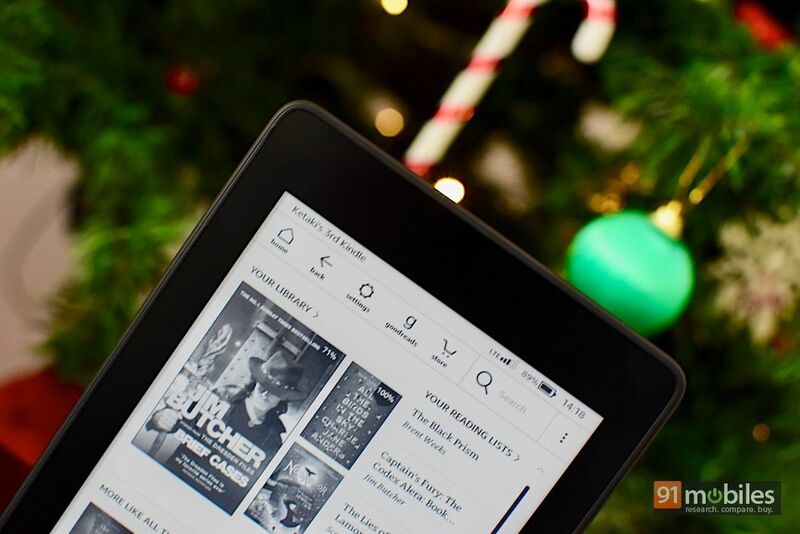 Amazon provides free data for its cellular Kindles in partnership with Vodafone. The cellular option is especially useful if you tend to switch between reading on the Kindle and the Kindle app on your phone, given that Amazon’s Whispersync feature will keep your book synced to the last read page across devices. Perhaps the most important new feature of the All-new Paperwhite is IPX8 waterproofing, which makes it capable of surviving for 60 minutes under 2 metres of fresh water. This is the same IP-rating that the flagship Kindle Oasis comes with, so it’s a significant addition. Now I know not everyone spends time reading their Kindle at the beach or in the tub, but the waterproofing is also a useful feature to safeguard against rain or accidental spills. 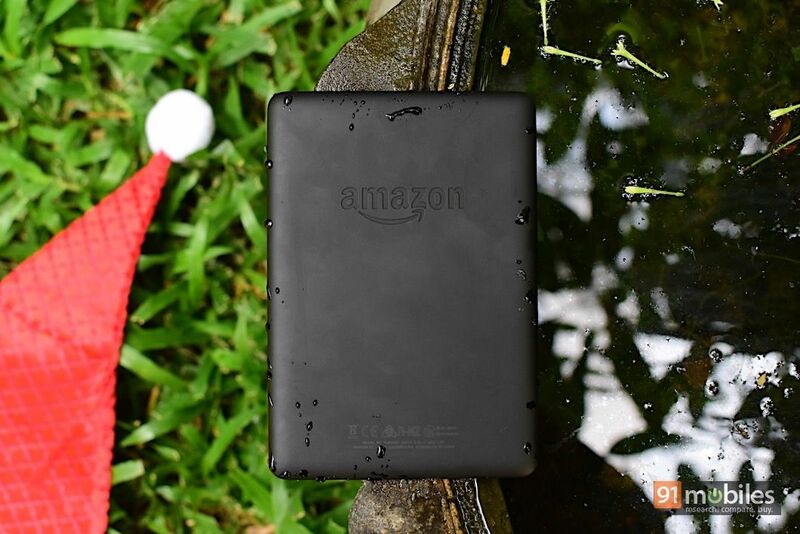 Amazon’s also launched water-safe fabric covers for the new Paperwhite, if you want the added protection. The new Paperwhite comes with the same great battery life as the older model. Mine lasted about three weeks with data turned on, but putting it on airplane mode should make it last even longer. 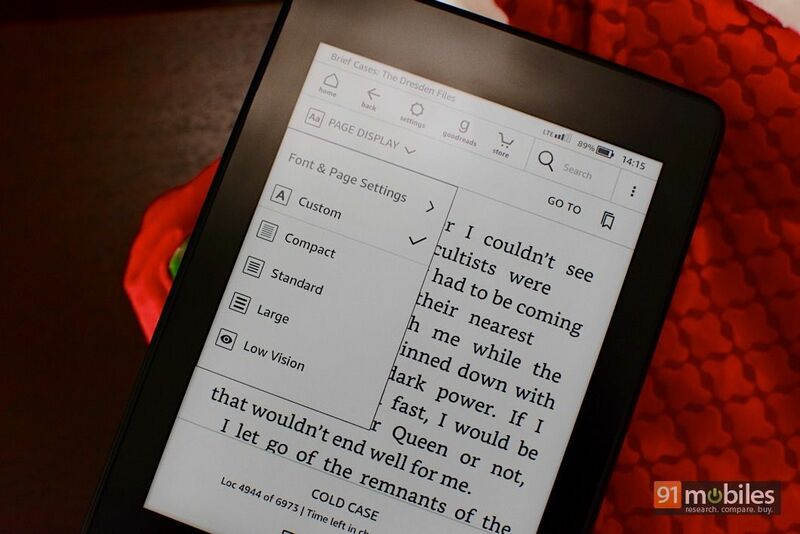 The software you get is the same across Kindles, although one feature that’s been borrowed from the Oasis is the inverted black and white display, which can be enabled under the Accessibility menu in settings. This is basically a dark mode for your Kindle, with white text displayed on a black background. It’s easy on the eyes, and particularly useful if you’re reading at night with the lights turned off. 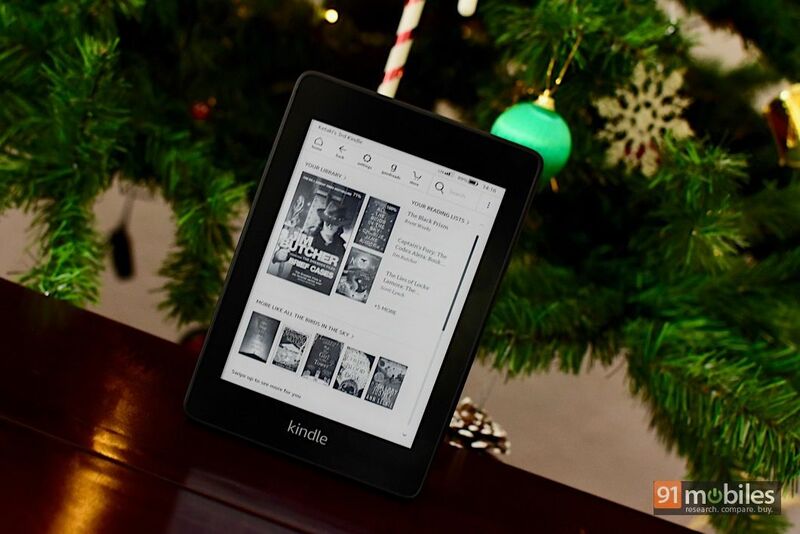 The other software features are standard across Kindle models – Goodreads integration, reading lists, an inbuilt dictionary and the ability to customise fonts and page layouts. In the US, the new Paperwhite comes with Audible support, allowing you to play an audiobook from your Kindle via connected Bluetooth speakers or headphones. 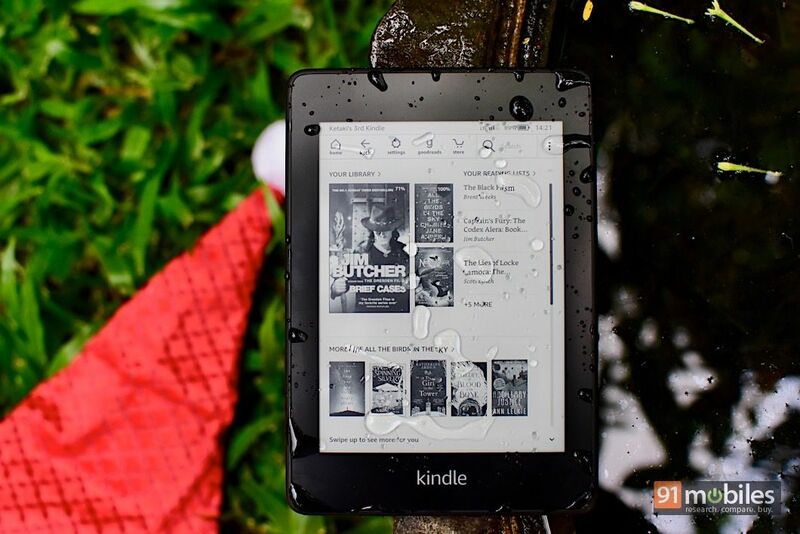 While Audible has been recently launched in India, Amazon says it wants to gauge customer response to the service before integrating it with the Kindle. 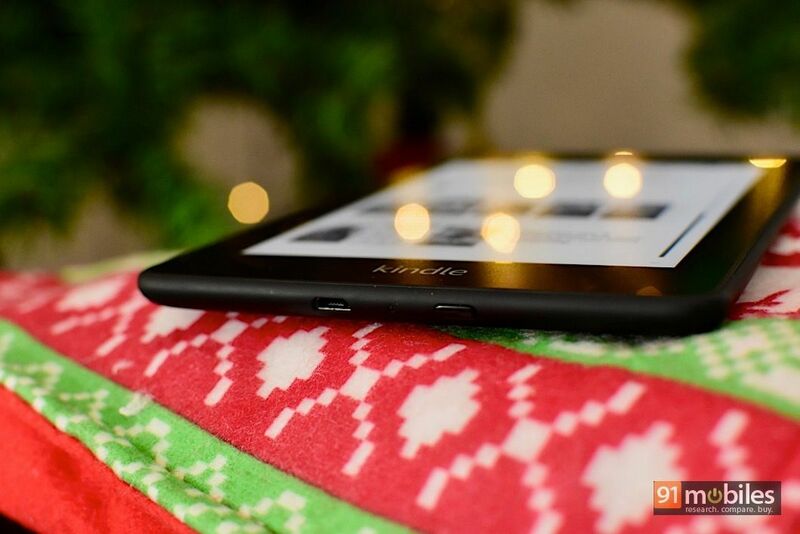 If you ask me which Kindle is the best, I would say it’s the Oasis – hands down. The larger screen, physical page turn buttons, auto-rotating display and auto-brightness are features I wouldn’t compromise on. That said, at a starting price of Rs 21,999, the Oasis will have limited takers, and that’s where the All-new Paperwhite comes in. 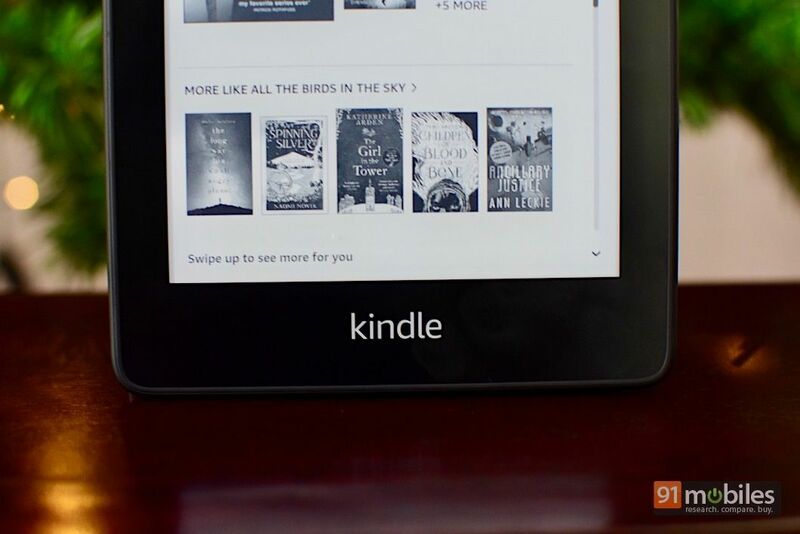 There’s a reason the Paperwhite is Amazon’s most popular Kindle – it has a high-resolution illuminated display, great battery life and is affordable too. It’s also the e-reader I recommend to first-time Kindle buyers. 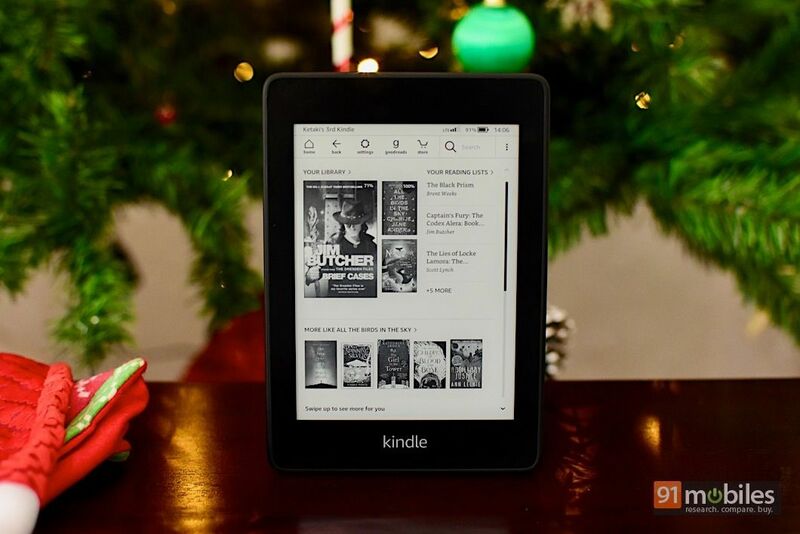 With the new Paperwhite, Amazon has retained everything that was great about the 2015 model, while improving the design, bumping up the storage and adding waterproofing. Priced at Rs 12,999 for the Wi-Fi version, it’s not exactly affordable, but if you’re an avid reader, this will be an investment that will pay off for years.